The German automaker's sales have dipped again and its rivals have reaped the rewards. It has been difficult to judge just how much Volkswagen's emissions scandal will hinder its business. While its reputation has taken a battering, falling from eighth to 267th place on the Reputation Institute's rankings, that won't always translate into such a dramatic impact on performance. On the other hand you can't argue with revenue figures - and unforunately for VW, its sales are still going into reverse. While the European Automobile Manufacturers’ Association found that new car sales rose by 5.7% across Europe last month, VW's sales fell 1.6%. Its first quarter market share of new registrations hit a five-year low of 23.4% with buyers looking elsewhere at the likes of BMW, Mercedes and even - the horror - Fiat. 1.6% may not sound much, but VW's sales plight looks bleaker when set in industry-wide context where demand across Europe is clearly recovering. Being the one bucking the trend isn’t a good thing when the trend is up - VW was the only brand in the top ten to experience declining sales between January and March. Ouch. Since it revealed that eleven million diesel vehicles worldwide had software that could cheat emissions tests, the outlook hasn’t been pretty. As well as wading through lawsuits, the way VW has handled the response hasn’t been particularly convincing. Perhaps its status as Europe’s biggest carmaker initially gave it too complacent an attitude and the expectation that trouble would eventually blow over. Scandals often do go away after the dust settles, but usually only after the firms in question make clear, concerted efforts to address the issues. It's debatable whether VW has yet done so. It has at least promised there’ll be a ‘significant reduction’ in performance-based payments to members of its management board, though the final figure hasn’t been announced yet. 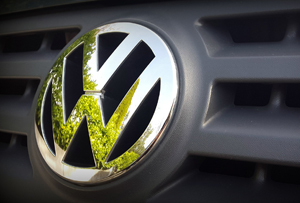 It's an effort to send a sign to workers (and the general public) that the company is serious about cutting costs and that its bosses are paying the price for the VW's wrongdoing.